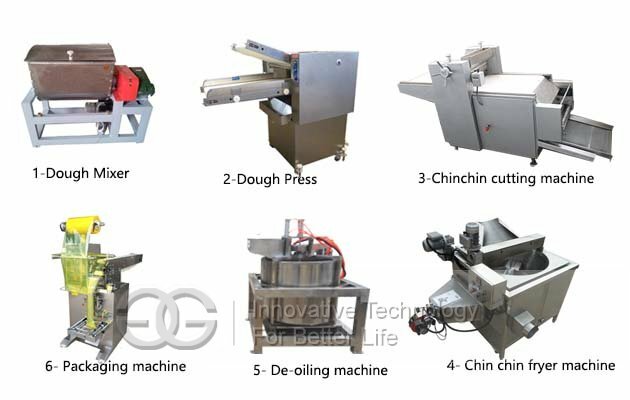 This complete chin chin making and frying line is mainly consists of 6 machines: Dough mixer, dough press machine, chin chin making machine, chin chin fryer machine, deoiling machine, automatic granules packing machine. 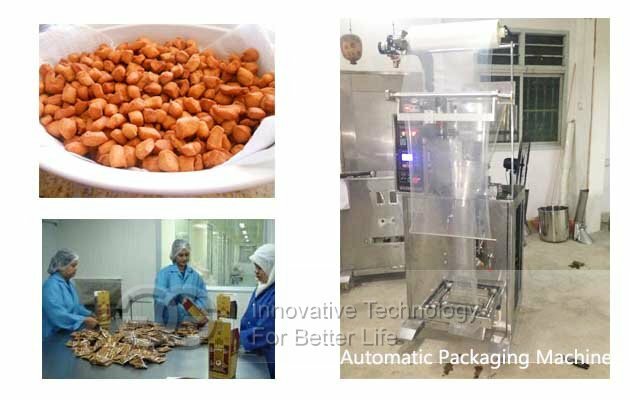 This complete chin chin making frying line|chin chin production line is mainly consists of 6 machines: Dough mixer, dough press machine, chin chin making machine, chin chin fryer machine, deoiling machine, automatic granules packing machine. 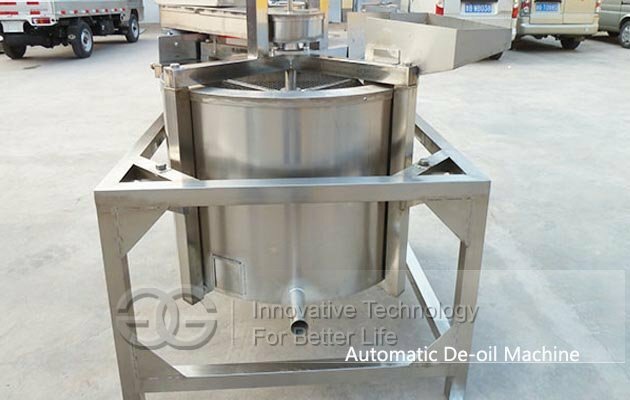 2, Dough Pressing Machine: The quantitative dough is placed on the lower conveying belt, and the machine is started, and the dough is automatically conveyed to the pressing wheel, after repeated pressing to achieve the desired effect. 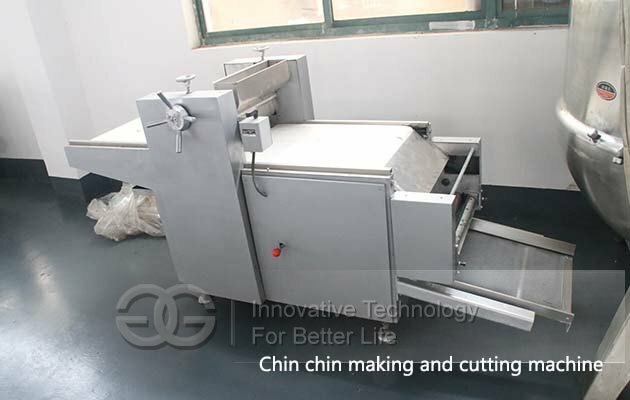 3, Chin Chin Cutter Machine: This machine is used for pressing and cutting dough sheet to small pieces, the thickness and size of finished product can be adjusted. 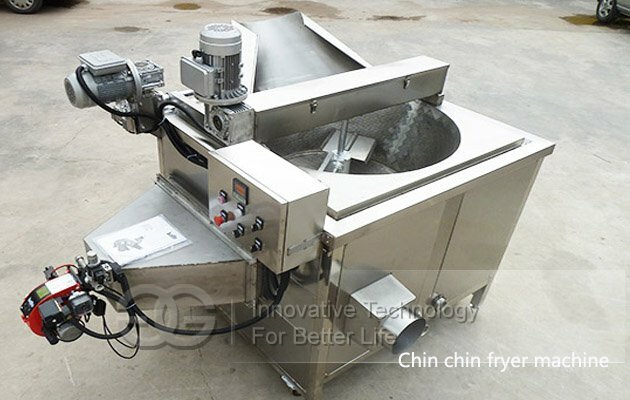 4, Chin Chin Fryer Machine: This fryer machine is used to fry chin chin, adopting dip tube heating mode, heat uniform, solve the local peroxide phenomenon, keep frying oil color good, effectively improving fired food quality. Automatic control temperature for different food. 5, Deoiling Machine: The machine is made of stainless steel. Mainly used for fried foods de-oiling and dehydrated vegetables and after cleaning. Here use this machine for deoiling chin chin. 6, Automatic Chin Chin Packing Machine: This machine can automatically complete a series of actions, such as bag making, the measuring, filling, inflating, counting, sealing, code printing, material giving, stopping in certain quanting, fixde-bag cutting and same cutting.